Joe Trouillot was a famous Haitian singer. Joe Trouillot was one of the original members of the Big orchestra of Issa El Saieh back in the 1940's and 1950's along with Guy Durosier. Did you know Joe Trouillot? Are yon a fan? Last time I saw Joe Trouillot it was at the wake of a fellow artist. His voice was still the same I used to hear back in the fifties .Clear as a silver bell shime. 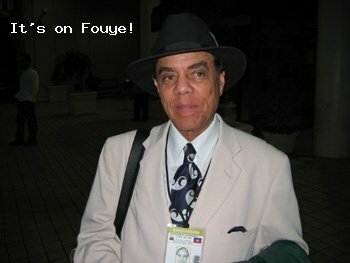 Yhe departure of Joe Trouyillot is a big loss for Haitian music. an artist like him could hardly be replaced.